So we’re now in between expansion packs in SWTOR. Knights of the Fallen Empire has closed after The Battle of Odessen with a shift in power from Arcann to Vaylin (with SCORPIO alongside). For whatever reason BioWare stopped us killing Arcann with Senya declaring that it is “time for redemption”. With that non-ending we are now anticipating Knights of the Eternal Throne (KotET) sometime in Autumn (or “Fall” for my friends over The Pond). So what am I hoping BioWare do as part of KotET? Due to the Alliance system of companions, followers and contacts, the number of companions we can use has mushroomed. The thing is that we have spent however many years getting acquainted with, sometimes getting married to class-based companions. Deep connections, story writing and some quite simply awesome interactions mean we ‘get’ the companions. 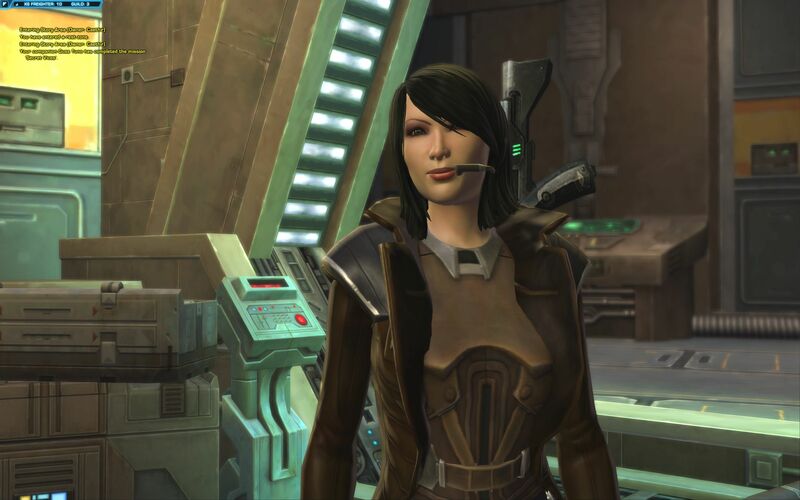 To name a few: Kira, Nadia, Doc, Mako, Andronikos, Khem Val (which may not happen as we have a fake-Khem Dashade), Jaesa Wilsaam, Risha, Lord Scourge, Corso Riggs, Zenith, Felix Iresso, Akaavi Spar – all are still missing-in-action. This isn’t a complete list! 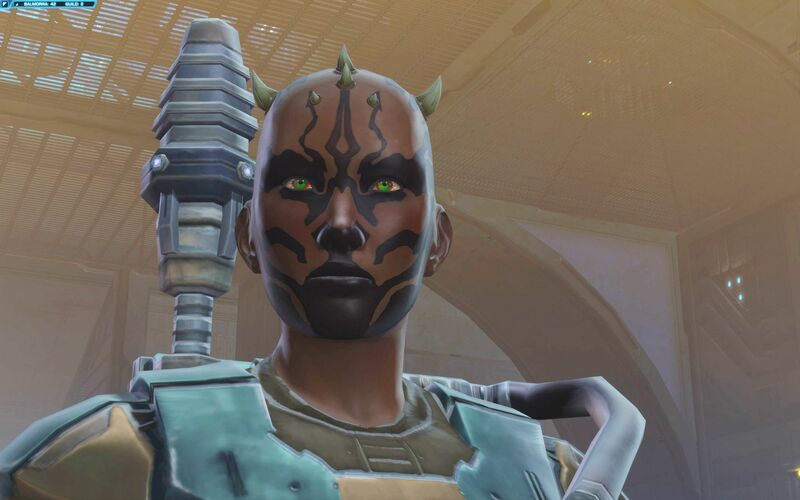 And I’m trying to keep almost up-to-date my post on Companions in KotFE if you want to see when/how companions are recruited or re-recruited! Although I’ve enabled some of these via the Alliance Terminal on Odessen but it’s not the same. When Knights of the Eternal Throne kick-starts we need to see our ‘old’ companions returned. But not just by making them active again, but actually writing them in. 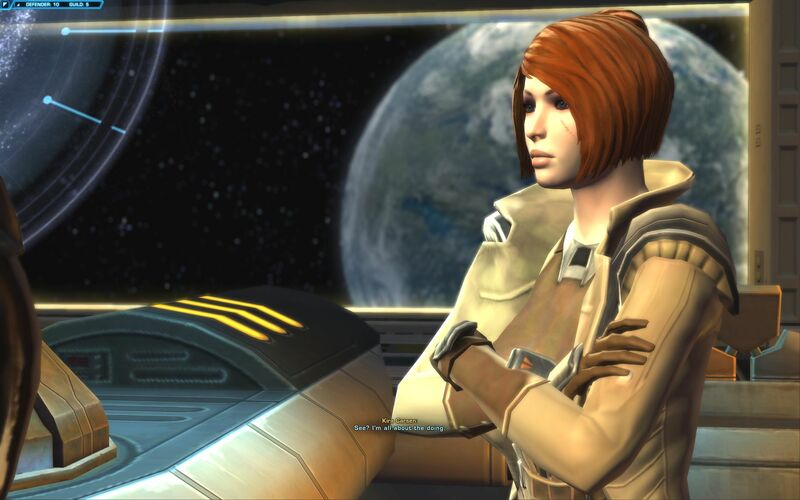 As Chapter 1 of KotFE wrote out your companions, BioWare need to take time to write them back in again. Not all characters find love during their class story – and those that do may not commit for life. 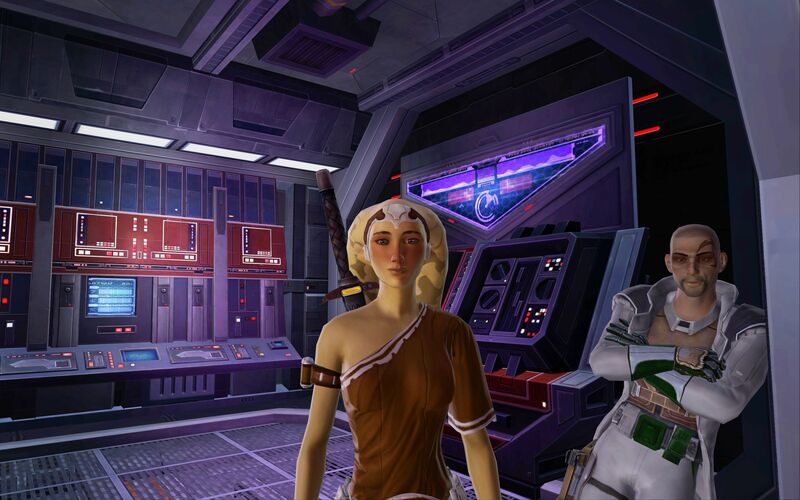 So entering Fallen Empire opened up deeper romances with Theron Shan, Lana Beniko and Koth Vortena. But that’s a small sample of the galaxy’s population. 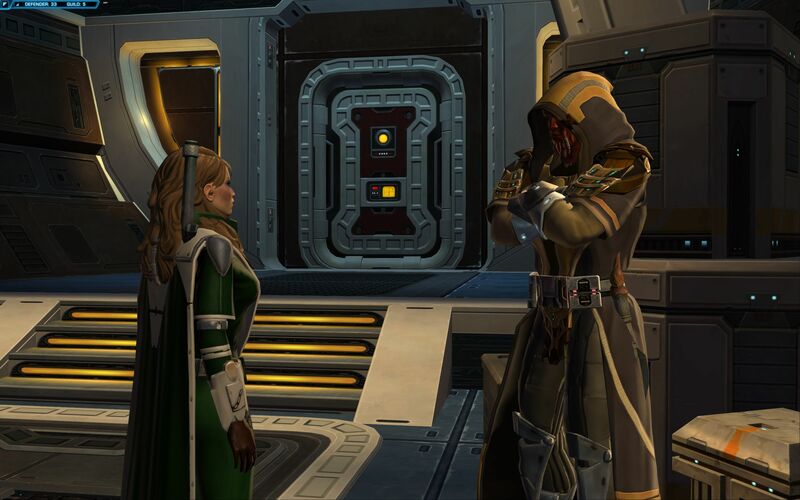 There are many companions who have joined your Alliance and the story now, why can’t love be found with any of those? So it would be nice to have options, please BioWare. I don’t know if others have found this a challenge but I’ll try to explain. 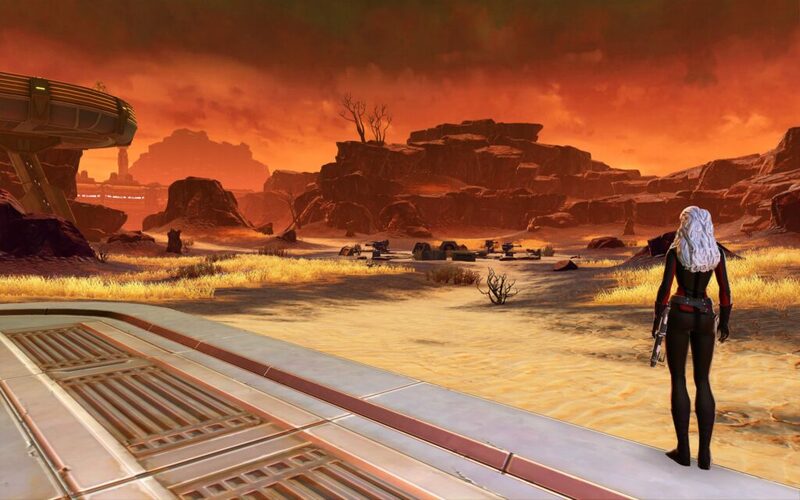 I’ve struggled in SWTOR KotFE with ranged DPS (e.g. sniper) due to interrupts or the need to keep moving. KotFE was so much about The Force that non-forcies can feel sidelined. I have found combat with ranged DPS (with channel times) to be really difficult under KotFE, so I hope they can tweak this for Knights of the Eternal Throne. Yes that’s rich coming from me, who got into Star Wars due to the Jedi. But it’s time the non-Forcies had a say in the Galaxy. We’ve already gone one step in a new direction – a female main foe. Most of the ones leading to this point were male: Darth Thanaton, Darth Baras, the Void Wolf, Rogun the Butcher, the First Son, Revan, the Emperor, Arcann. I’m glad we finally have a female lead. Maybe now we can also show that not having the Force can be just as much a strength as having it? This may be a contentious issue! In my opinion most decisions taken throughout 16 chapters of Knights of the Fallen Empire, have made no impact on the galaxy. The biggest one is probably whether or not you kept Koth in your Alliance. If you got rid of him, he has the Gravestone and knows too much about your Alliance to be ‘safe’ roaming the universe. Aside from that there are few decisions that actually matter. I don’t like to moan. I think the world designers and script writers pull off a really great job. But way back at the start of Fallen Empire, we were told that decisions would really matter. But in the end, the most important decision was taken away from us. We have spent most of 16 Chapters of KotFE building towards defeating (and preferably killing) Arcann. The most crucial decision of the whole story is then wrested from the player. I’ll be writing a post about that moment in more detail later this month. 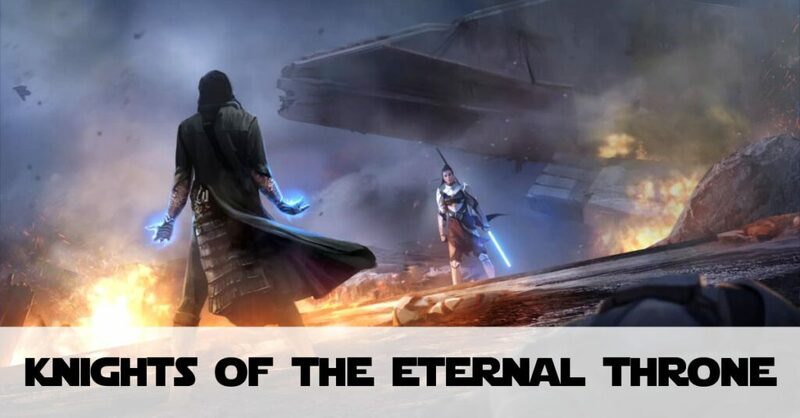 But I hope that Knights of the Eternal Throne pulls on decisions made throughout KotFE so we can feel the true impact of decisions made, maybe even as far back as “Do you kill Tanno Vik on Asylum or not”? From the last Producer Live Stream: the developers inferred that there would be more resolutions in KotET (link to that below). So I’m hoping this “choice frustration” will be resolved going into the new expansion. Not for me, but for the many people who have been asking for a very long time for a new Raid/Op. The developers said in August’s Live Stream (skip to 13:55) that they were working on ‘group content’ but wouldn’t be drawn on what that means. But they’ve been saying that for a while and I think the gamers who have gone to other games for decent raid need honouring. Even LotRO beat SWTOR on new group content by adding a brand new raid recently. Even I, with Dark vs Light and to some degree getting Alliance Crate Missions done, I have engaged more in group content, albeit no more than once/month. So if I can gradually pick it up, the those who prefer to do Group rather than Solo Content should be well served. No More Random Companions Please! In order not to be hypocritical, I do want class companions to come back in the story. But having 10-20 companions is a wee bit unsustainable. You can’t get high influence on them all, even with the Character Perk enabled in Legacy. So, while I want to grow an Alliance, I don’t think they all need to be accompanying companions. When Do We Find Out More About KotET? Health-permitting, as news comes out about KotET, I will morph this post from being an aspiration post to a what-we-know post. In the Live Stream they said more information would begin to flow at and after New York Comicon, which happens 6th-9th October. So hopefully we’ll see more Podcasts, press releases and preview trailers after that! Honestly, although I will be playing it with fewer characters, I am looking forward to KotET. I think the designers and voice actors/actresses have done an amazing job. I will be doing my best to keep up with it as I have with KotFE. But I think BioWare need to address people’s concerns and gripes (when they are rational anyway). And they should be looking at what people care about in-game not just the new chapters. What would you like to see from KotET? Feel free to post them in the comments! Interesting read! I’d love 1 or 2 new raids myself, but I saw something somewhere claiming that only about 1-2% of players actually do raids. I find that really surprising, but, if true, I can see why raids are moved to the back burner, I just hope it’s NOT true. Some datamined info has found some repeatable group content called “Uprisings.” I imagine this is going to be something between a Star Fortress and a Flashpoint, and I’d guess it’s us rallying various worlds to fight back. As for non-Force ranged, my operations main is a Sniper and I feel fine as a sniper doing content, both solo and group. When doing solo, I prefer a tanking companion that I send in first, then I can sit back and properly snipe my targets as the companion holds aggro. With the tools available to the sniper/gunslinger, movement during combat isn’t a problem, we can roll out just fine and we come up in cover and ready to fire away again. If I actually have to get up and run, that’s okay, too, because most of my single target attacks aren’t bound to my being in cover anymore, so I can stand and shoot, too. I’m entirely comfortable doing content as a Sniper/Gunslinger, or as a Sage/Sorc. I’m not as solid on the Merc/Commando, but I do well enough for story modes there. I love my melee classes, too, but when it comes to a progression ops team, you generally have one main toon, and a backup. Otherwise, the team as a whole has a hard time progressing because you’d always be gearing up. How did you find the the Solo battle with Arcann where you can’t have a companion in Battle of Odessen, when using your Sniper? I found it easier on her than it was on my TK Sage, who can self heal! =) I know that’s odd, but my first time through that was on the Sage, which may explain part of it, the Sniper was second. But I did it faster and easier on the Sniper. I have a gear advantage there, too, as the Sniper is my operations main and is in 220/224 gear whereas the Sage is in 216/220. I also used the Attuned weapon in both cases, which gives you the buff and some shield/heal ability, if I remember right. Depends on the weapon, my two were healing and speed increase (helps avoid Arcann’s AOE abilities). That’s right! I had forgotten, I think it’s the same across all Attuned weapons. Ah no, I only got Speed with “There’s No Limit I can’t surpass” attunement. A different attunement gave shield/healing. I think! Please keep the Romances going, would like to see more Characters and Npcs that would be romance able and be able to possibly have weddings, That would be cool. Wedding scenes would be awesome. At the moment you just get the ‘darkened screen indicating the passage of time’ thing. And yes more romanceable NPCs. The current pool is…restrictive let’s say. 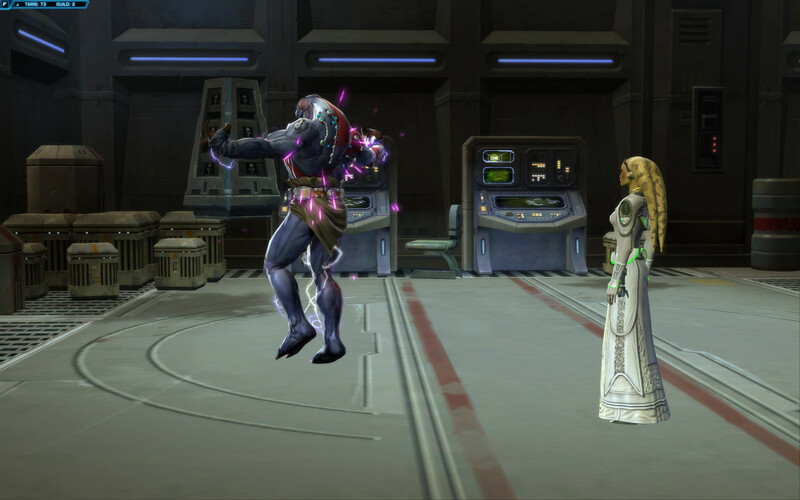 Cross-class romance should be available after the class story/KotFE ends. But I don’t think they’ll put the work in for that aspect, which is a shame. Some very reasonable requests there Rebecca. Bug fixes should be as important as new content, but we’ll see! I reported a bug within the Shroud of Memory today. Hard to know whether they really get the developer’s attention though. KotET Without Playing KotFE – You Can, but Should You?